How can I select which account is used as the default? If you have several email addresses set up in eM Client, you might want to select a specific one to be your default account. This is the account your emails will automatically be sent from when you compose them. 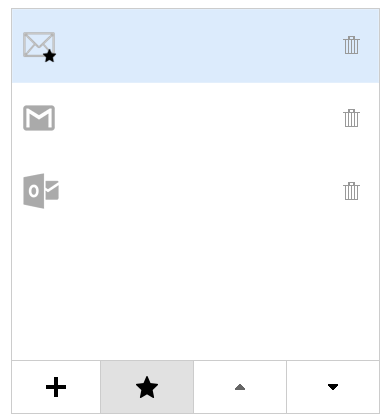 You can change which email account you're sending messages from just by clicking on your email address in the New Message window. If you want to change which account is your default account so you don't have to perform this step this every time, there's an easier way to do it. All you have to do is go to Menu > Tools > Accounts. On the left side, you will see a list of your accounts and four buttons underneath. Just select on the account you want, and then click the "star" button. The mail icon of that account will now have a little star on it and this email address will be now your default account.